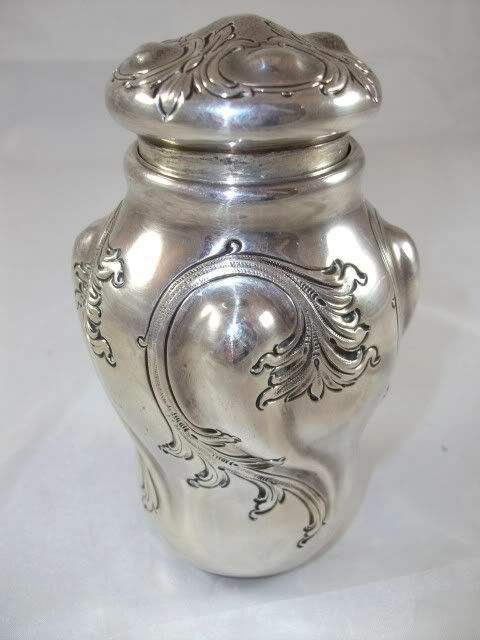 Sterling Silver Art Nouveau lidded dresser jar. 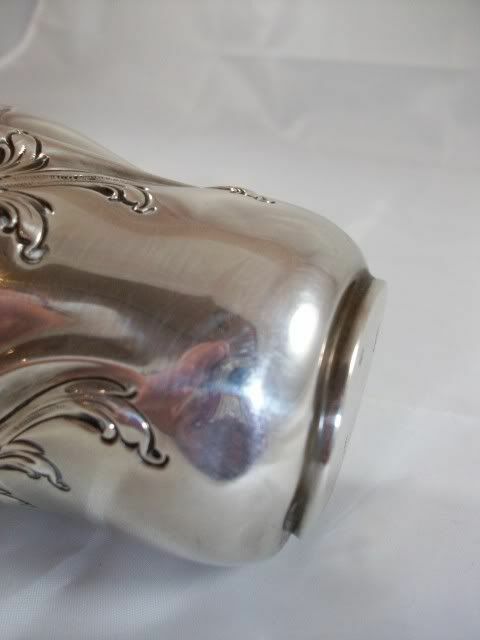 This is an attractive piece in super condition. 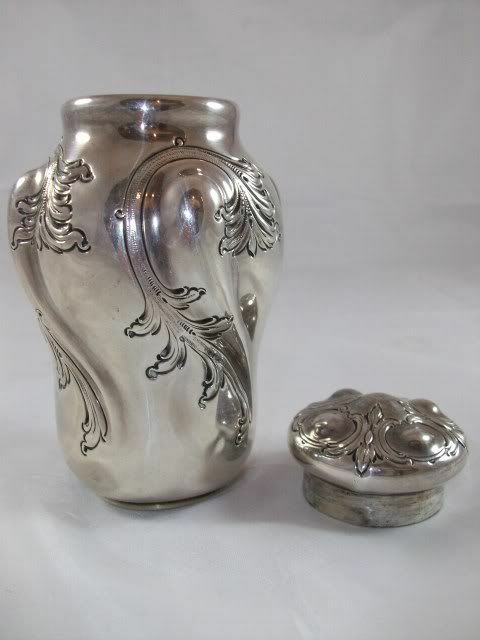 The jar stands 5" tall with a 3" diameter. There is a slight dent on the base rim. It does not distract and does not effect the stance. 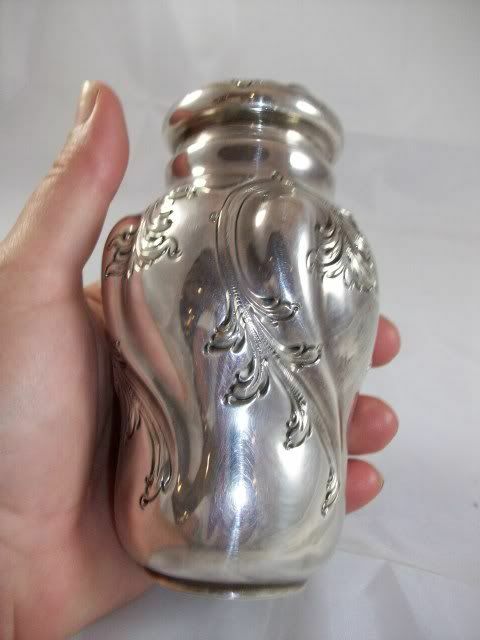 You have to flip it on the base to see, very minor but to be noted. 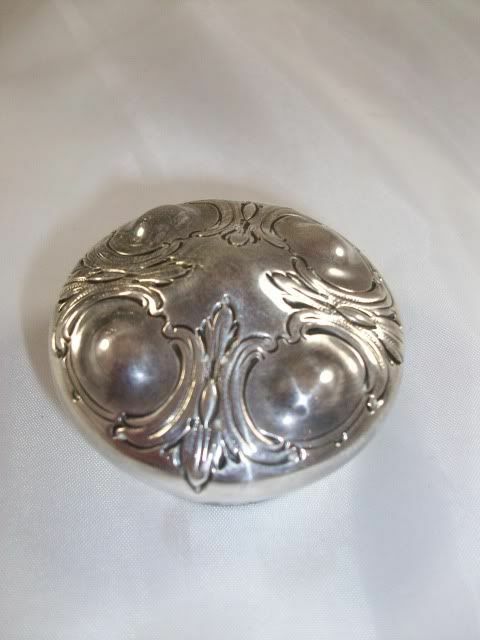 The lid twists off with ease and holds tight when fitted. 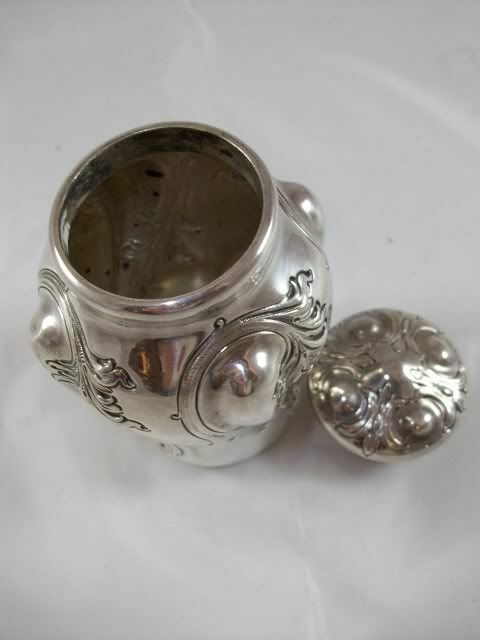 The piece is marked sterling on the base with the makers mark I cant figure out followed by the design number 1132. 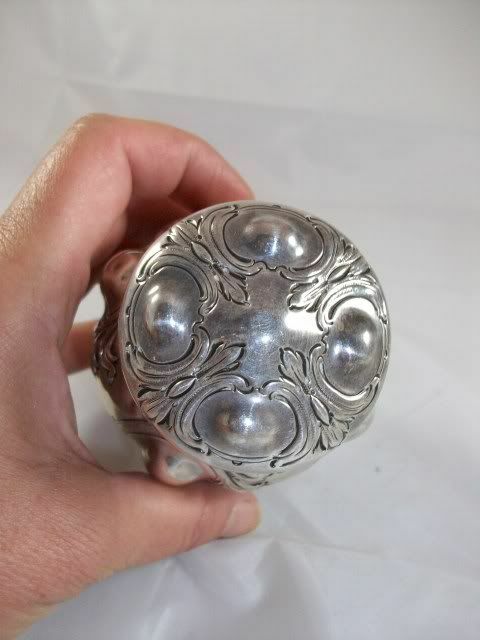 The piece is solid construction weighing in at 5 ounces sterling. 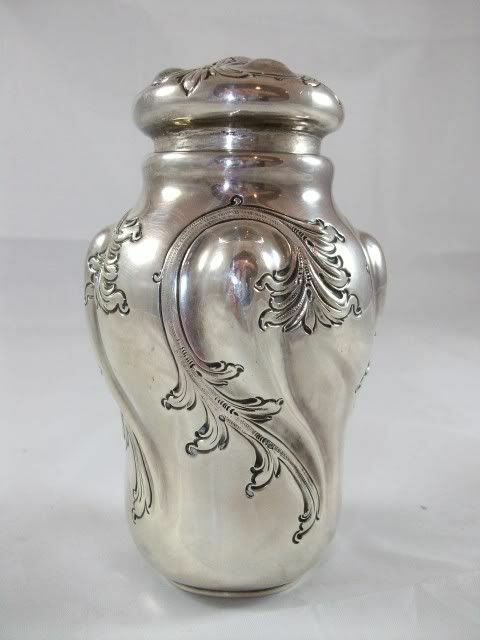 The jar is legal antique dating to 1890-1900.